Victim's sister: "If you know of people going through the same thing.... This is your opportunity"
The sister of the woman killed in a domestic violence shooting that also claimed the life of a Prince William County police officer hopes her sister's tragic death will start a conversation about the dangers of domestic violence. Prince William County police say Crystal Hamilton, 29, called 911 Saturday evening after getting into an altercation with her husband, 32-year-old Ronald Hamilton. Crystal Hamilton's sister, Wendy Howard, says the argument between the couple started when Crystal wanted to go out with her friends. 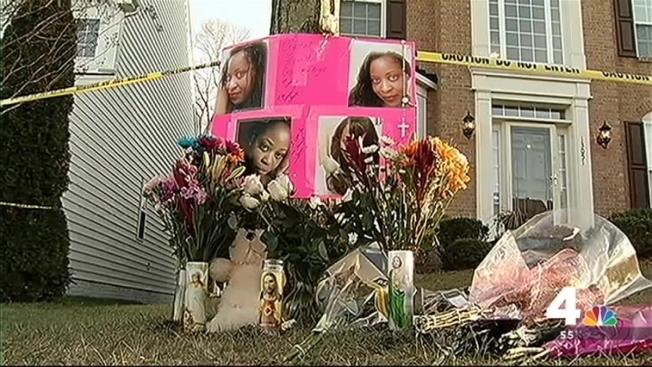 Investigators believe Crystal was killed before officers arrived. The Hamiltons' 11-year-old son was also home at the time of the shooting, but wasn't injured. Officer Ashley Guindon also died of her injuries. Crystal Hamilton's sister, Wendy Howard, said Crystal had never expressed any fears about her husband. The couple had been high school sweethearts. "I believed he was her protector and I even said it to her, 'This is your protector...'" Howard recalled. "To say that to her and this is the same person who turned around and took her life, that's a hard pill to swallow." But Howard said their mother had been banned from the family's home after she began to pick up on issues during her visits. "Crystal was very private and for reasons of loving her husband and want[ing] to work with her husband, she didn't open up about those issues," Howard said. Howard said her nephew had just celebrated his 11th birthday that day. He found his parents arguing when he returned home from a sleepover at a friend's house. The boy told his aunt that the situation escalated, and his mother told him to run. According to Howard, her nephew saw his father pick up and throw his mother. As the boy ran down the stairs, he heard gunshots. "He understands what has happened and as an 11-year-old, he has more courage than anything else, and that's all his mom's doing," Howard said. She said the boy is with family and is slowly processing the devastating loss, without his mom by his side. "With his tenacity, he's going to come through it," said Howard. But she hopes the tragedy will spark a greater awareness of domestic violence. "I see this as being an opportunity... a platform for other women being battered who are experiencing either mental abuse, physical, verbal emotional to come forward," she said. "This is your opportunity. Don't hide it from your family; don't hide it from your friends. If you know of people going through the same thing that my sister, I'm sure, was going through and never said anything about it -- don't be afraid. This is your opportunity." "If you don't get out for yourself, get out for your kids, get out for your family because you wouldn't want this to be how you are being remembered," Howard said. Howard thanked the community for its support in the wake of her sister's death and also expressed gratitude for Officer Ashley Guindon, who gave her life to help the family. Guindon had just been sworn into the Prince William County Police Department on Friday. She was working her first shift Saturday when she was fatally shot. Two other officers, Officer David McKeown, 33, and Officer Jesse Hempen, 31, were injured, and both have a long road ahead for their recovery, according to the police chief. Howard said her family wanted to thank the officers who responded, "and most importantly, the officer who sacrificed her life for my sister and my nephew. I thank you and God bless your family." A vigil for Crystal Hamilton will be held at 7 p.m. Tuesday at the couple's home on the 13000 block of Lashmere Court in Woodbridge. "At the end of the day, I want to celebrate my sister," Howard said of Crystal, whom she described as vivacious, extraordinary, dedicated and hopeful. She worked as a counselor to military veterans. Howard also had a message for Guindon's family. "I thank Ashley so much because she sacrificed herself and her life for my sister, and to know they were the exact same age..." Howard said. "It's one of those things that's hard to comprehend and my heart goes out to her family for the life that she led and giving her life again for my sister." Guindon's funeral will be held Tuesday in Woodbridge. The organization My Sister's Place connects abuse survivors with resources. They can be reached for free, confidential help at 202-529-5991.